Kennel Cough in dogs is similar to the common cold in humans and is considered to be one of the most common canine diseases across the world. It can be caused by several different bacteria or viruses, usually in a combination of two or more. Easily transmitted, generally fairly mild in terms of symptoms and usually the 'patient' recovers within ten to fourteen days. Treatment often isn't necessary, but if secondary infection sets in then antibiotics might be prescribed by your veterinarian. Kennel Cough is also more formally known as 'Tracheobronchitis' , or, more commonly, as 'Bordatella' because the bacteria that is responsible for many, many cases of Kennel Cough is the Bordatella Bronchiseptica virus. What Causes Kennel Cough in Dogs? Your dog could 'catch' Kennel Cough by being infected with one, or often more, of several different different viruses or bacteria. Many others are thought to play a role in some cases, including the Distemper virus, Staphylococcus (Staph), Streptococcus (Strep) and E-coli, to name a few. As with most illnesses, if your dogs' immune system is already weak (ie by another disease or age), or if it is immature (as with puppies) the chances of catching Kennel Cough are increased. Kennel Cough is very easily transmitted from dog to dog. It's about as easy to pass Kennel Cough from dog to dog as it is for the common cold to pass from one person to another. It can travel through the air (in droplets spread by coughing, sneezing or just breathing). The viruses/bacteria can also be transmitted through direct contact with sick dogs (face to face, licking etc.) or with objects that have been touched by those same sick dogs. People can also carry the virus or bacteria on their hands and clothing and pass it between dogs. Toys, bedding, hard surfaces, water bowls... they're all potential sources of contamination. Because of how easily Kennel Cough spreads, environments where there are a lot of dogs are often hot-beds for infection and can spark a mini epidemic. These can include boarding kennels, large-scale dog breeding operations, doggie day care facilities, dog pounds, rescue organizations and other similar establishments. Puppies or dogs who have made a full recovery from Kennel Cough are still considered to be infectious for up to three months as the virus is still being shed from their bodies. Although the viral causes of Canine Kennel Cough can't be transmitted to humans, some of the bacterial ones can. Including Bordatella Bronchoseptica , Staphylococcus (Staph), Streptococcus (Strep) and more. Not surprisingly, the most noticeable symptom of Kennel Cough is... a cough! And this particular cough is pretty easy to recognize. It's a dry, honking, snorting, hacking sort of cough. In children, the cough caused by the Croup virus is a dry, barking type of cough due to the inflammation of the trachea and bronchial tubes. Severe coughing 'fits' which end in gagging, retching and gasping are common. Kennel Cough causes the same inflammation in dogs and results in a similar type of cough and 'fits'. Quite distinctive. Other symptoms might be seen as well, the exact combination depends on which combination of virus/bacteria has causes the illness. Symptoms usually appear sometime within 2 - 14 days of exposure to the the bacteria/virus. If you think your dog may have Kennel Cough, always have him examined by your veterinarian. Other conditions also have a cough as an early symptom and you need a firm diagnosis. Your veterinarian may want to prescribe an antibiotic as a preventative measure (to prevent secondary infections from developing), and if your dog is very young, has another health condition or is a senior this can be important. Even given that list of symptoms, most dogs don't really seem, or act, too sick. Again with the analogy to the human common cold. You might feel 'yukky' but you can function normally and go about your daily business. Most dogs are the same way with Kennel Cough. They may seem a little 'under the weather' (and obviously have that distressing cough) but they shouldn't appear to be really sick. Sometimes the virus/bacteria will develop into a secondary infection which can lead to serious problems if not recognized and treated. Symptoms of a worsening infection might include coughing up mucus, extreme lethargy, refusal to eat, continuous fever, difficulty breathing, thickening mucus discharge from eyes/nose etc. If you see any of these, or Fido seems to be feeling really unwell, then get him examined by your veterinarian right away. He may need additional help. As with many other canine illnesses, some dogs can catch Kennel Cough and be contagious, without showing any symptoms. They're basically silent 'carriers' of the disease. Because Kennel Cough in dogs is usually a self-limiting disease (ie dogs will generally recover by themselves within two weeks), treatment isn't always needed. 'Supportive care' can be given at home and is pretty straightforward. Plenty of rest, extra fluids and a nutritious diet will help him fight off the infection. Avoid strenuous exercise, lots of excitement/stress, or smoky/dusty environments because these can trigger coughing fits. If you're walking your dog, try to use a harness instead of a collar as putting pressure on his throat/trachea can also get that cough all riled up. If it's really cold outdoors, keep your dog inside as much as possible because the cold is likely to trigger his coughing. But, just as if we catch a cold we may end up with an ear infection, chest infection, pneumonia etc., a dog with Kennel Cough may develop similar secondary infections. Pneumonia is a the most dangerous potential problem and it can be very dangerous, even fatal. Secondary infections often need to be treated with antibiotics to prevent serious problems. There are a couple of antibiotics that are usually used to treat Kennel Cough infections. This combination results in medications like Clavamox and Clavulox. A blend of these two antibiotics is usually much more effective than giving straight Amoxycillin because many bacteria are now becoming immune to this common medication. Popular antibiotics which are especially effective against Bordatella and mycoplasma. These can include plain Doxycycline as well as Vibramycin or VibraVet. When combined, these two types of antibiotic are effective in killing many of the bacteria found in dogs with Kennel Cough. In some cases they can be more effective than the Amoxycillin blend. There are other antibiotics that your vet may prescribe based on your individual dogs' infection, general health and so on. These can include Baytril (Enrofloxacin), Gentamicin, Chloramphenicol and more. Sometimes your vet may feel prescribing other medications such as a cough-suppressant, bronchodilator or steroid to help relieve inflammation and other symptoms. Don't give Fido anything NOT prescribed/recommended by your vet! Please don't ever give your dog antibiotics, cough medicine or any other medication that you or another family member or pet has been prescribed. Each case is unique and people medicine often isn't suitable (or is downright dangerous) for dogs. 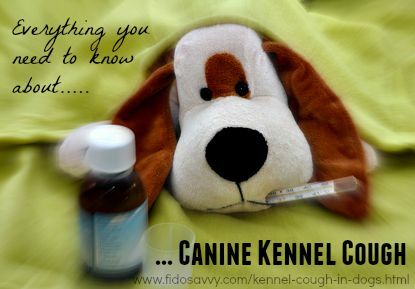 There are some things you can do at home to help Fido if he has Kennel Cough. I wouldn't recommend using home remedies and natural treatments instead of mainstream veterinary care and medications (if prescribed). But natural, homeopathic or herbal remedies for Kennel Cough can be a great addition to other treatments, or used alone if your vet feels that Fido doesn't need prescription meds. Natural remedies can be used to relieve symptoms of upper respiratory tract infections, such as coughing and sneezing. They can also help boost your dogs' immune system so that he's better able to fight off the virus/bacteria. The perfect 'cold remedy' for dogs & cats. Designed to calm bronchial irritation, reduce congestion and make breathing easier. Unique blend of five scientifically selected natural ingredients. 100% homeopathic. Safe, effective, non-addictive. Gentle, natural blend of herbal ingredients designed to soothe and support your dogs' upper respiratory tract. Also helps to break up mucus and relieve congestion. Boosts immune function to help Fido feel better, faster. A natural organic, herbal remedy. Fights infection, is anti-microbial and boosts the immune system. It helps to reduced coughing, relieve congestion and help your dogs' body fight the bacteria and viruses that are making him sick. * NOT to be take if your dog has been prescribed Baytril or an anti-viral medication. Essential oils have some wonderful properties and can be effective in so many ways. I found a natural aromatherapy blend which was designed specifically to soothe a dogs' cough, ease breathing and boost immunity... it's also antibacterial and antiviral. Check out Aromadog Cough Drop and you'll see what I mean. There are a few things you can do to help your dog feel better, and recover from his bout of Kennel Cough. It's important to keep Fido well-hydrated as this helps his body flush out the virus and bacteria that are making him sick. Extra fluids can also prevent him from getting dehydrated, which is a dangerous condition all on it's own. But when your pooch doesn't feel that great it can be tricky to get him to drink enough, let alone extra. Adding a little warm low-sodium chicken broth to his kibble will encourage your dog to gobble it up. The broth will smell good and taste good (and if he's congested his senses of smell and taste may be dulled) so he's going to enjoy that. If you don't have any broth on hand, even soaking his dry kibble in warm water for 10 minutes before feeding it to him will release aroma and flavor, and add some valuable fluids to his meal. Canned food contains a much higher percentage of water than dry kibble does. It's not as nutritionally dense and I don't recommend it as a regular diet for any other than very tiny dogs, senior dogs or those with health problems that make eating dry dog food difficult or unwise. However, pretty much all dogs love this type of food and adding some of it to Fidos' mealtimes will encourage him to eat and increase his fluid intake. Just be aware that you will have to 'wean him off' this once he's 100% healthy again! When my kids were young and would have a bout of Croup (a human virus that produces similar symptoms to Kennel Cough), I'd sit in the bathroom with the shower running full blast to ease the irritation in their chests. 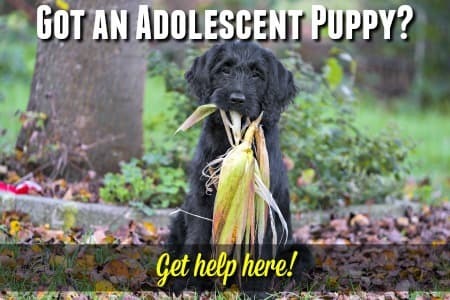 This works well for dogs too. The warm, moist steam soothes and reduces inflammation while thinning mucus and dilating bronchial tubes. Setting up a humidifier in the room/s where he spends most of his time can achieve something similar (although for acute coughing episodes the steamy shower is far more effective) and is a more long-term solution. If you don't have enough humidifiers, setting a bowl of water near radiators, air vents or other sources of heat will help moisten the air in any room. Coconut oil has so many amazing benefits, and one of them is its' anti-viral properties. Try adding two teaspoons of Coconut Oil per 10lbs of body weight to his food daily. It will likely improve his willingness to eat and help his body fight the virus/es that are making him sick. Honey has a whole host of health-inducing properties! It's anti-viral, anti-bacterial, anti-microbial, anti-inflammatory... and it's soothing and tastes good too. Adding one teaspoon of honey to your dogs' food daily will help his immune system and soothe his irritated throat. There's nothing to stop you using both Coconut Oil and Honey. Because there are several viruses and bacteria that can cause Kennel Cough in dogs (either separately or in combination), there are at least two vaccinations that your pup needs to be protected. These are the Bordatella vaccine and the Canine Adenovirus-2 (CAV-2) vaccine. The CAV-2 vaccines is one of the CORE puppy shots recommended by the American Animal Hospital Associaion. The Bordatella vaccine is highly recommended if your pup is to be spending time in an environment where there are lots of other dogs. Many veterinarians' recommend it even if this isn't the case, simply because Kennel Cough is SO easily transmitted and so common. 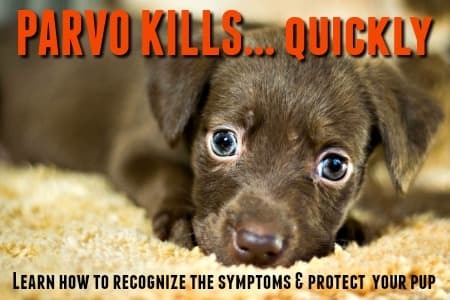 Vaccinating your puppy and being meticulous about keeping those vaccinations up to date is the very best way to keep Fido safe. While the Canine Adenovirus-2 vaccine is always given as an injection, the Bordatella vaccine can be given either as an injection, or as intra-nasal drops. Or both. Veterinary studies have shown that the intra-nasal delivery provides better immunity within the respiratory tract, provides that immunity quickly (often within 72 hours), only needs to be administered once, and can be given to puppies as young as 3 - 4 weeks. The injection needs to be given twice. The first between 6 and 8 weeks of age, and the second one three weeks later. Protection doesn't start until around 10 - 14 days after the second shot. However the shots do provide stronger immunity in other areas of the body. Some veterinarians recommend both types of vaccination for puppies and dogs who are at high risk of contracting Kennel Cough (especially in pound/rescue/kennel situations). Also, dogs in high-risk environments may need to be vaccinated every six months rather than annually. Some puppies may show mild signs of a Kennel Cough infection after being vaccinated with the intra-nasal form of the vaccine. These symptoms might last for two or three days, and your puppy/dog may be able to spread a very mild form of disease during this time. He/she will recover fully within the same period of time. Don't be too worried about this, I've never personally had any issues stemming from this, and the intra-nasal delivery is the most popular and veterinary recommended method. I have my puppies and dogs vaccinated intra-nasally and have always been happy with that, having not had any pup/dog catch kennel cough (and we do use boarding kennels from time to time and attend classes and dog events too). The choice is one that is something best discussed with your own vet and taking into account your own situation and plans for your pooch.